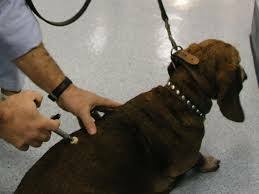 Animal Chiropractic is a field of animal health care that focuses on the preservation and health of the neuro-musculo-skeletal system. 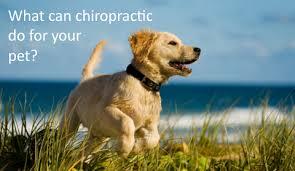 Animal Chiropractic is not meant to replace traditional veterinary care. It is not an alternative treatment, but rather an integrative method that when used in conjunction with good traditional veterinary care, will provide years of happy and healthy living. 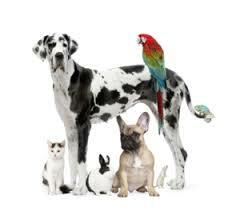 This is the beginning of a more modern, comprehensive approach to your animal's healthcare. It is an effective and valuable means of restoring and maintaining their strength, vigor and well-being. By exploring and treating the root causes of your animal's aches, pains and illnesses, will ensure maximum improvement, top performance and an exceptional quality of life for the animal companions we love. Along with chiropractic, Ozone and Cold Laser Therapy have shown remarkable results in many animals including dogs, cats, horses, reptiles and birds. For more information see the Ozone and Cold Laser Therapy page. What can we say about our "Furry Best Friend's" nutritional needs? How about...they are just as important as ours are! Every living thing requires certain "building blocks" to grow, repair, heal and simply maintain good health. Along with a quality diet, the Standard Process Veterinary line of Whole Food Supplements is considered by professionals to be the "Gold Standard". The quality of these products cannot be beat! Another amazing point is that the "human line" of the brand can also be used in many cases, for our pets, providing excellent results in a very cost effective manner. If you are interested in a first-hand experience, chat with Penny about how her 11 year old dog, Maggie, beat Stage II Melanoma Skin Cancer with the Standard Process cancer protocol! For more information about Standard Process, click here.